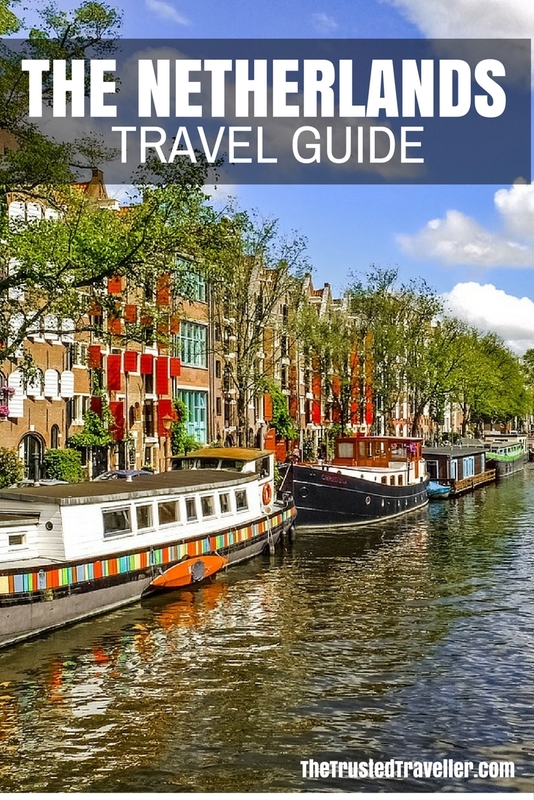 This Netherlands Travel Guide aims to provide you with simple and stress-free travel planning information and inspiration for planning a trip to The Netherlands. The Netherlands is a small country in Western Europe bordered by Belgium to the south, Germany to the east and the North Sea to the north and west. The country is one of the flattest in the world with one-fifth of the country being below sea level. Water is everywhere in The Netherlands with it being criss-crossed with canals and rivers and quite a big coastline for such a small country. 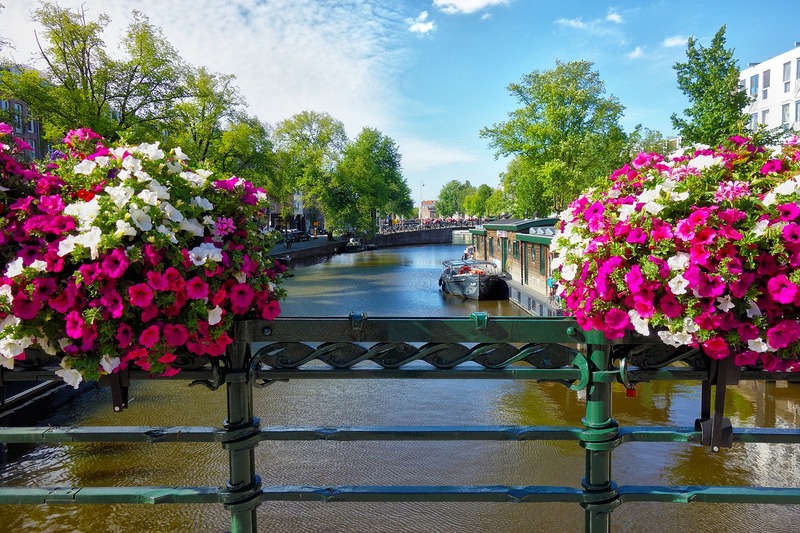 The Netherlands has a moderate climate with warm summers and relatively mild winters. Spring and summer bring longer and warmer days with light sometimes until 10:30pm and day time temperatures up to 30°c. Winter can be quite cold with icy winds from the North Pole, snow common in January and temperatures dropping to -5°c some days. 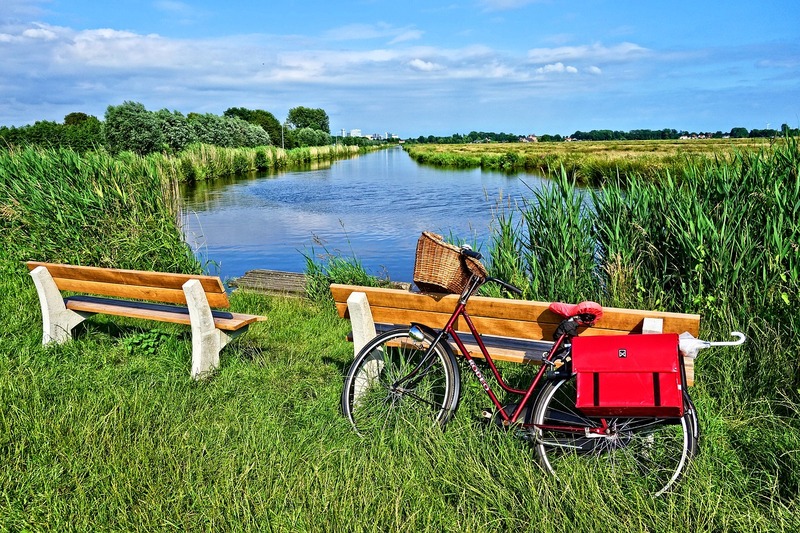 The Netherlands has its charms all year-round and you should plan your visit based on the types of activities you wish to enjoy. June to September (summer) sees lots of sunshine and longer days giving you more day light hours to explore. 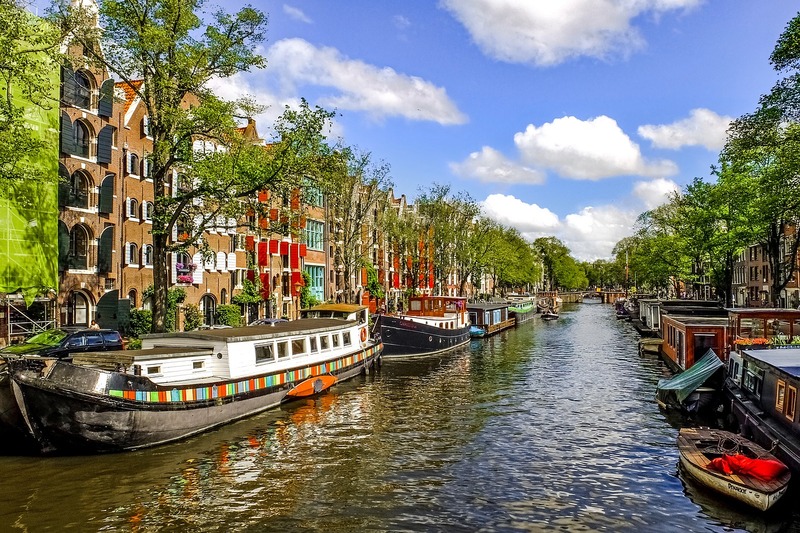 It is a popular time to visit the country so expect the top attractions to be busy and cities like Amsterdam to be a little on the crowded side. 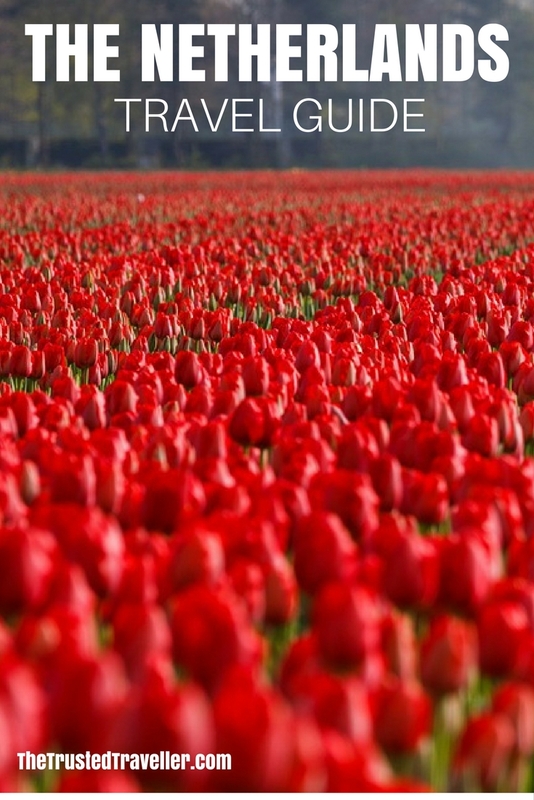 Another popular time of year to visit The Netherlands is in spring when the country’s iconic tulip fields are in full bloom and putting on a world class display. It is always recommend to have a mixture of cash and bank/credit card with you when you travel anywhere in the world and this is no exception in The Netherlands. In The Netherlands you’ll find cashpoints (ATM’s) in all major towns and cities across the country. As well, credit cards are widely accepted although some establishments such as small hotels and shops may only accept cash. 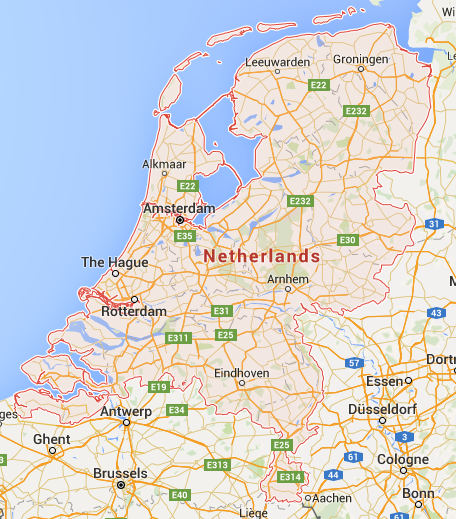 Getting to The Netherlands from surrounding European countries is simple, quick and cheap by bus or train. You can find out more about rail travel in Europe, including timetables and purchasing tickets, on the Rail Europe website (for residents of North America click here or for the rest of the world click here); and about bus travel on the Eurolines website. The Netherlands is also well-connected by air with flights arriving in Amsterdam from all across Europe and the UK and parts of the US, Middle East and Asia. A flight from London to Amsterdam will take just over an hour and a flight from New York to Amsterdam about seven hours. 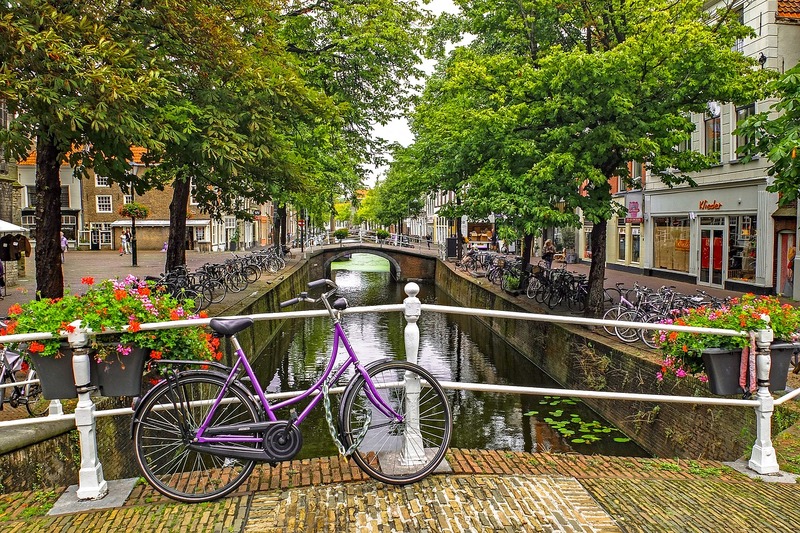 The Netherlands is a relatively small country so getting around it is pretty simple and cheap. Europe’s excellent network of trains means that getting around The Netherlands and in fact to/from other European countries is the most prompt and cost-effective way to travel. All the major cities are connected to one another and you will find that most regional areas are well-connected to at least one or two of those major cities. Because The Netherlands is a small country, it is relatively easy to navigate if driving yourself. Highways are excellent and traffic problems almost unheard of except around the bigger cities in peak hour. The roads in The Netherlands are well maintained and easy to navigate because they are well signposted. During the winter months remember that weather conditions can change rapidly. Be sure to obey all signs and drive with care in slippery conditions. Camping – All the main cities have campsites on the outskirts of town, with good transport links into the centre. 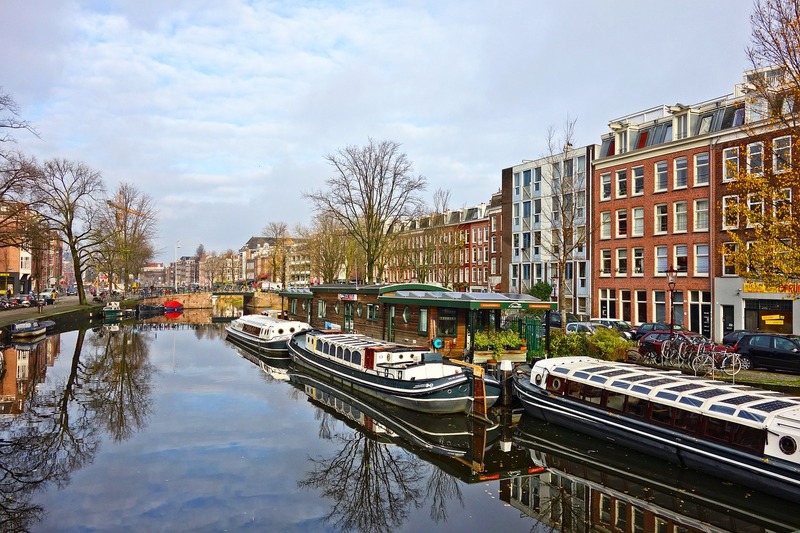 Hostels – You’ll find hostels in abundance in The Netherlands bigger cities and one or two in most other regional areas as well. The level of cleanliness in The Netherlands and similar parts of Europe is well above average so you will likely find your room and shared bathroom to be super clean. 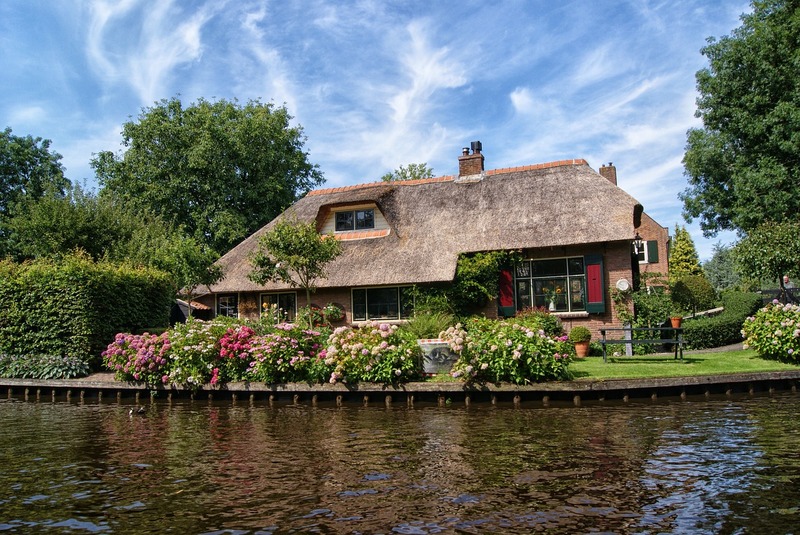 Luxury Hotels & Resorts – The Netherlands has its fair share of 5 star properties for those who like a bit of luxury. These will offer you brilliant service and a top location, sometimes with incredible views of the surrounding area. The Netherlands has a variety of eating options that will suit all budgets and tastes. And because of the country’s international population, you will find a wide range of restaurants and cafes serving local, European and overseas dishes too. Restaurants – The Netherlands is abundant in local resources so you can expect the food you get served in restaurants to be super fresh. Fish and mussels harvested from its North Sea feature on a lot of menus. As does locally bred pheasant, rabbit, venison, beef and lamb, butter, cream, beer and wine are also used heavily in Dutch cooking. Fine Dining – The Netherlands has it’s fair share of the worlds best restaurants so if it is fine dining experiences you are after then you won’t be disappointed. 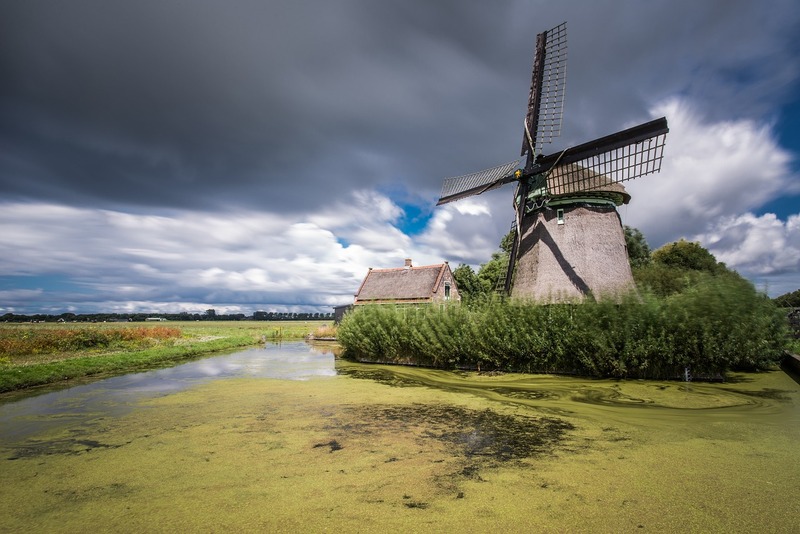 Here is a constantly growing collection of resources from around the web to help you plan your dream trip to The Netherlands. 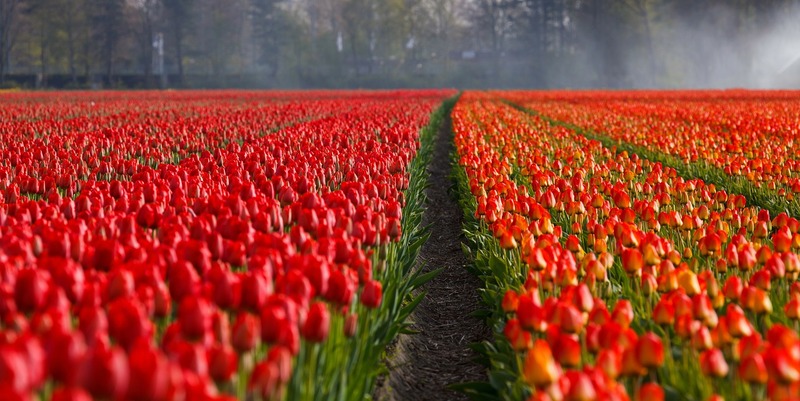 The official The Netherlands Tourism website is a great place to start planning your trip. 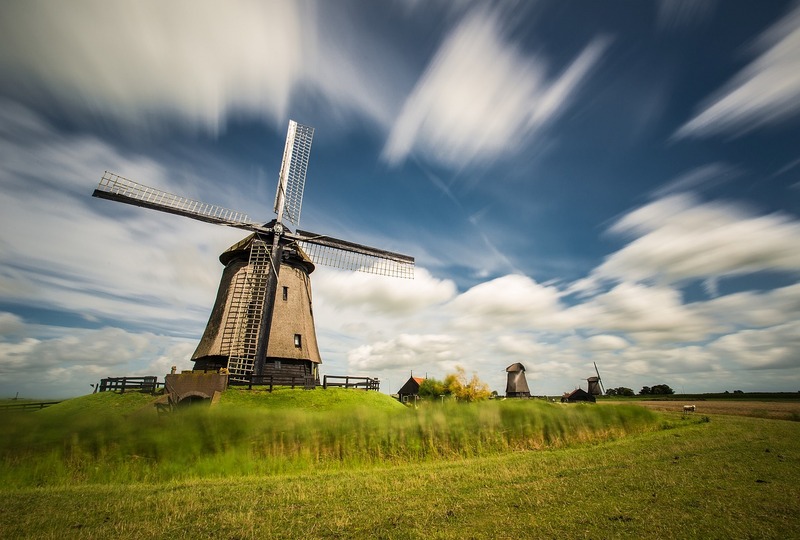 The authority in all things travel, Lonely Planet has an extensive section all about The Netherlands. Or why not buy the The Netherlands Lonely Planet Guidebook in hard copy or as an eBook. Rachel lives in The Netherlands and not only loves to travel the world, but also loves to explore her home country whenever she can. Check out her blog Rachel’s Ruminations. Elizabeth and her family moved from the US to The Netherlands and have written a lot about their family adventures in their new home country on their blog Dutch Dutch Goose.